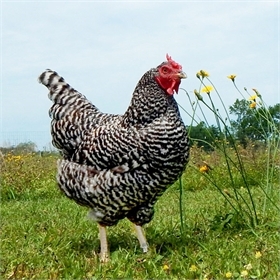 Large fowl — Exciting new breeds! Learn more about many of these breeds here. If you're up to some Super Sleuthing, order some "Mystery Eggs" and see if you can guess what birds you've received! The color of the hatching egg may provide a clue but you'll need to wait until the chick hatches to see if you're even half right -- the possibilities are almost endless. At $13.95 for (3) Mystery Eggs, it is a great deal, too. So order some Mystery Eggs...make some observations...consider the possibilities...and see if you can crack the code. These Mystery Eggs may hatch large fowl, bantams, known breeds and unknown breeds. We like making our customers happy, so be on the lookout for some free eggs in your order. Will my eggs arrive intact? 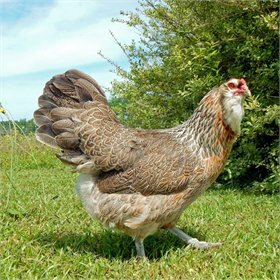 My Pet Chicken absolutely guarantees that the fertile hatching eggs you order from us will arrive intact and ready for incubation. If any eggs for which you have paid arrive cracked or broken, we will refund, or reship them in the case of 50% or more of the eggs being damaged. Please contact us within 48 hours of receiving damaged eggs to report the issue, and provide photos of the damage, if possible. Do you guarantee all my eggs hatch? Our eggs are gathered daily, shipped no more than 3 days after they are laid, and stored properly to ensure freshness and improve viability. Even so, most people are happy to get a 50 percent hatch rate on shipped eggs. Firstly, even if the eggs are intact on the outside, handling by the post office can damage them enough that they do not hatch. The internal arrangements of a chicken egg are relatively delicate and can be disturbed even if the outside is completely intact. Secondly, we cannot guarantee your hatch rate because we have no control over the incubation conditions with which you try to hatch them. Eggs will not develop into chicks unless exacting conditions of temperature and humidity are met--and even a one degree difference in temperature can cause them not to hatch or can cause the chicks that do hatch to be weak! 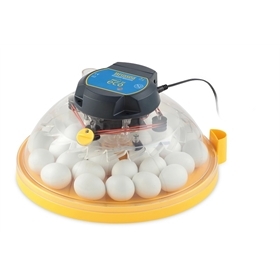 If your thermometer is inaccurate, if the power goes off in your home during incubation, if your incubator is dirty: all these issues are simply beyond our control. Hatching egg results will vary even if you are experienced, so while our eggs are guaranteed to arrive intact and beautiful, we cannot guarantee your results. How do the shipping charges work? Hatching egg shipping is calculated in one of two ways, depending on the breeder: Either they're shipped in pre-paid "packs," where shipping is marked as free and is built into the cost of the product--OR it's based on the number of eggs you're purchasing. Eggs are always shipped via USPS Priority Mail. As you can see, the more eggs you buy, the better value you get from shipping--and it costs you no more in terms of shipping to jump from three to twelve eggs, or from eighteen to three dozen! Unfortunately, we cannot ship fertile hatching eggs to Hawaii, due to the importing regulations in that state. Can I choose which day my eggs will arrive? 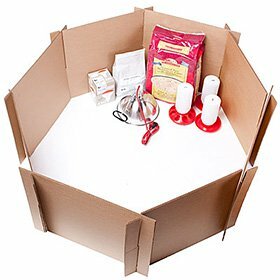 When you place your order, you will be able to choose your preferred week of shipment. Your order may ship anytime that week, Monday through Saturday, depending on the hens' cooperation. Should there be an issue with your order, we will attempt to contact you. 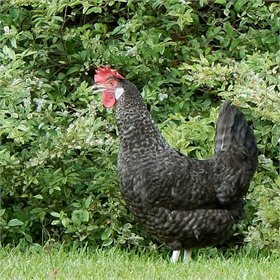 Some of our flocks are kept at different facilities, so if you are ordering multiple breeds or assortments, your eggs may not all arrive at once. We will do our best to coordinate, but we cannot guarantee they will all arrive on the same day. If you are uncomfortable with staggered hatches, you may want to place your orders separately or contact us for further instructions. We are happy to help! We are unable to ship hatching eggs to Minnesota or Hawaii due to importing regulations in those states. Will the post office deliver the eggs to my door? Shipping labels on our hatching egg boxes indicate that the post office should "CALL ON ARRIVAL." 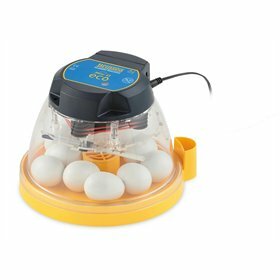 This reduces the handling and extremes of temperature the eggs experience en route to you, and can ultimately increase the viability of your eggs. However, very oftenthis information is not seen by the carrier, and eggs are delivered to the physical shipping address on the label anyway. 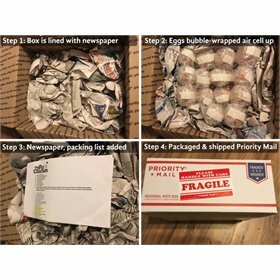 Alternately, you might consider calling the post office before your eggs arrive to let them know how you'd like them handled. If I order an assortment, how will I know which breeds I'll receive? Each egg you receive will have a breed code written on it, and within the package there will be a breed code list, so you can easily identify which breed is which. 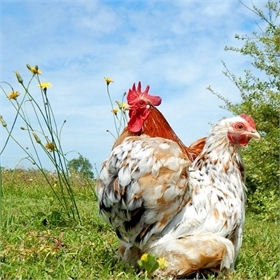 What do I need to know about ordering hatching eggs from My Pet Chicken? Does a bad hatch mean my eggs were infertile? Where can I learn more about my state's shipping regulations? What do I need to know about bird flu?